Weiping Wu is a professor and chair of the Department of Urban and Environmental Policy and Planning at Tufts University. She holds a Ph.D. in Urban Planning and Policy Development from Rutgers University, and a Master’s degree in Urban Planning and a bachelor’s degree in Architecture from Tsinghua University (China). She is a former editor of the Journal of Planning Education and Research, and a visiting Zijiang Chair Professor at East China Normal University in Shanghai. At Tufts, she also is a senior fellow in the Council for Emerging Market Enterprises at The Fletcher School, and the coordinator of the undergraduate Minor in Urban Studies program. Previously, she was a professor of urban studies and planning and international studies at Virginia Commonwealth University, a consultant to the World Bank, and a fellow in the Public Intellectuals Program of the National Committee on United States-China Relations. She also serves on the editorial boards of Journal of Urban Affairs, Open Urban Studies Journal, Journal of Urban and Regional Planning (Chinese), and World Regional Studies (Chinese). Behind the spectacular growth of China’s cities lies a potential fiscal crisis. It is unlikely that municipal governments can count on revenues from land leasing as a major, lasting source of finance. 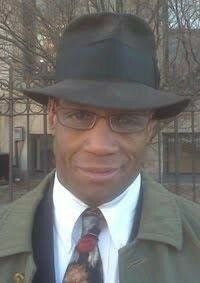 Many are under pressure to find alternative sources to finance urban development and infrastructure. This presentation will discuss a confluence of factors underlying the crisis, and explore the alternatives. 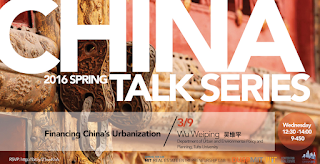 The China Talk Series is sponsored and coordinated by the China Planning, Real Estate, and Architecture (China PRA) student organization, DUSP, CRE, and the STL Lab.